Want something to keep the kids occupied over the holidays? Our July School Holiday program is now available – details are on our Program page - it's a great way to keep the kids occupied and away from the telly during the school holiday break. We’re inviting FAIRIES – yes, that’s right, FAIRIES – to join us on Wednesday’s from the 10th of Rainforest Queen will be arriving at 12.30 on July 10th and we’ll be having Fairy Storytelling at 1pm and 2pm with Miss Lilly Pilly Queen. 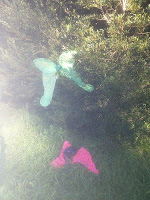 And of course, we encourage our fairies to take a Rainforest Walk while they’re here and meet some new friends. 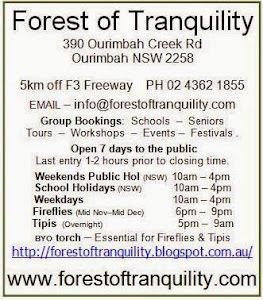 Mark your calendar for our FAIRY FESTIVAL DAY on Sunday 22nd September 2013.